The present volume addresses the linguistic categories of Prospective and Proximative, which refer to an event before it actually takes place, in a number of languages spoken in Eurasia. For most treated languages, these categories are described here for the first time. Highlighting historical, areal and typological aspects, the contributions in this book investigate the encoding of proximative and prospective semantics in genetically related and non-related languages. The present volume addresses the linguistic categories of Prospective and Proximative. Prospective refers to an event which is expected, presumed, or will take place while Proximative refers to its pre-stage; its canonical semantics is ‘be going/about to do something’. Highlighting historical, areal and typological aspects, the contributions in this book investigate the encoding of proximative and prospective semantics in genetically related and non-related languages. While Iranian and Turkic languages are the focal point, several contact languages of historical and typological relevance (and potentially of interest for phylogenetic studies), viz. Aramaic, Mongolic, Tungusic, and Uralic, have been included. 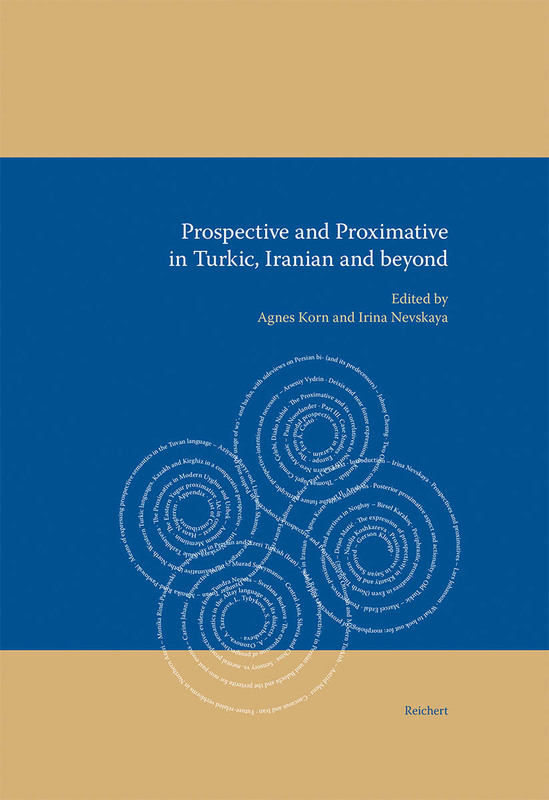 A comprehensive introductory section discusses both theoretical and methodological issues; it is followed by in-depth analysis articles and shorter case studies, the latter arranged geographically: Prospective and Proximative in languages spoken in Southern Europe, Iran and the Caucasus, Central Asia, Siberia and China. For most of these languages, the categories of Prospective and/or Proximative are described here for the first time. The research presented in this volume enriches our understanding of the Prospective and Proximative by identifying hitherto unknown encoding strategies, among them discourse, modal and aspectual particles, portmanteau morphemes expressing clusters of proximative and aspectual or evidential semantics, etc. Of particular typological significance are advances in the analysis of the semantic structures of proximative and prospective categories as well as of the sources and grammaticalization paths of the individual forms. This volume will be an inspiration for further research on the categories of Prospective and Proximative in the languages of Eurasia and beyond. It will be not only of interest for scholars dealing with the respective languages and language families, but also of great importance for historical and areal linguistics, language typology and theoretical linguistics. Born 1967. Studies in Indo-European studies, Indology and Iranian studies in Hamburg and Vienna (MA 1996), doctoral studies in Comparative linguistics / Indo-European studies in Frankfurt a.M. (PhD 2003), habilitation in Comparative linguistics in Frankfurt a.M. (Privatdozentin 2010). Lecturer of German as a Foreign Language in Banská Bystrica/Slovakia (1995-96), work for the Austrian Academy of Sciences / department of Iranian studies (1996-97) and on a lexicographical project Persian-German at the University of Graz (1996-98). Researcher at the Department for Comparative linguistics / Empirical linguistics at the Goethe Universität Frankfurt a.M. (1998-2015). Since 2015 senior researcher at the National Centre for Scientific Research (CNRS) in Paris / France. Main interests: diachronic and synchronic grammar of Iranian languages, description and documentation of minority languages. Born 1958 in Novokuzneck, Russia. 1975-1980 - Studies in Second Language Teaching (English, German) at Novokuzneck State Pedagogical Institute (today Kemerovo State University, KemSU), Diploma with Honors (1980). 1980-1986/1990-1993/1997-2012 - high school teacher/senior teacher/professor of KemSU. 1986-1989 - doctoral studies in Turcology at Institute of Philology of the Siberian Division of the Russian Academy of Sciences in Novosibirsk (SD RAS); PhD “Inventory and functions of converbs in the Shor language”, 1990. 1993-1997, Habilitation studies in Languages of Russian Federation, Institute of Philology SD RAS. Habilitation “Typology of Spatial Constructions in the languages of Siberia”, 1997. Since 2002, chief researcher, Institute of Philology of SD RAS. 1997-1998 – Stipend of the German Academies of Sciences and of Humboldt Foundation. 1999-2014 participant of various scientific projects in Germany at Frankfurt University (FU); Freie Universität Berlin (FUB); Orient Institute, Istanbul. Since 2009, associate professor (Privatdozent) of FUB. 2013-2014 – Turcology professorship replacement at FU. Since 2014, researcher at FU. Member of various experts’ and Dissertation Scientific Councils and Commissions; member of editorial boards (Turkic Languages, Ural-Altaic Studies, Journal of Endangered Turkic Languages), head of various scientific projects of international cooperation.